WHAT IT IS: This is Google’s tool; It will check any website to see how “mobile -friendly” it is and will give you a Green=Pass or a Red=Fail, and it will tell you why! WHAT IT IS: This is advanced software, but you don’t need to be a “techie” to use it; It’s simple, easy and fun. Don’t waste your time with out-dated lists or searching Google the “old-fashioned way”, Mobile Lead Monster will generate the latest local business data available using multiple up to date sources such as: Google site search, Google maps, Google+Local and Yellow Pages, all combined in this user-friendly software.You can generate unlimited local leads with a lifetime license and no monthly fees! Can we say: Win-Win? You can easily export these leads in csv or txt format to stay organized and on top of your game, pretty awesome-right? You can create your own leads and mobile sales campaigns with this tool...and much more! Now that you've told your local prospects about the impending Mobile Apocalypse and have used your MobiDemoPro tool to convert those in need of a mobile-optimized website into Sales, you have to get to work on creating these Google mobile-search friendly sites. 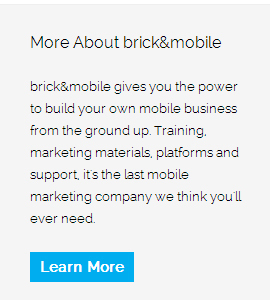 Don’t worry, we've got you covered with our patented Mobile CMS (mobile website builder). It’s all ready to go; This is your last tool in your Mobile Apocalypse Survival Toolkit. 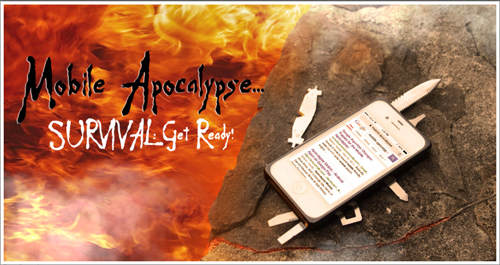 YOU SAVED THE DAY: Don’t wait to get started, the Mobile Apocalypse has begun! You can be the victor in the Mobile Apocalypse with your patented, tried and tested, fully-functional Mobile Apocalypse Survival Toolkit. With D-day,April 21st, just around the corner, you and your clients will be thankful that you are now fully equipped. Stay tuned to Part 3, Mobile Apocalypse D-day, we will give you an exclusive invite to a training webinar with Kevin Z who will explain how to maximize your selling potential because of these changes that Google is making to mobile searches worldwide. Have Questions about the products listed in the Mobile Apocalypse Toolkit? Get in touch with our Sales Team that are standing by 24/7 for you.